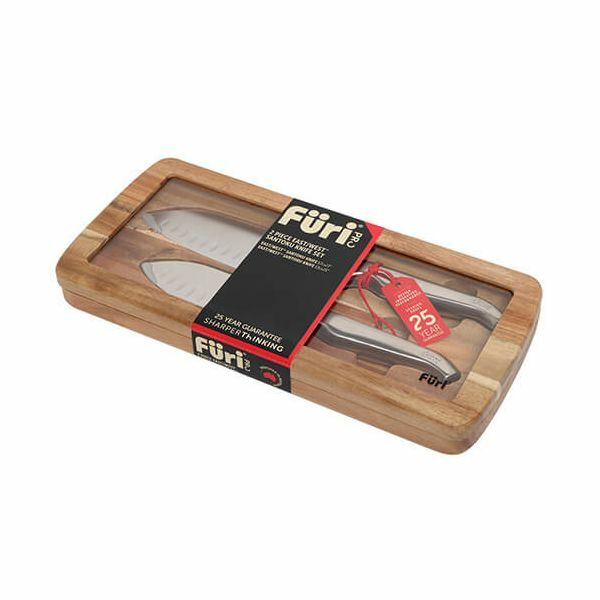 The Furi Pro East/West Two Piece Santoku Knife Set includes both the 13cm and 17cm Santoku Knives presented in an attractive Acacia wood gift box. 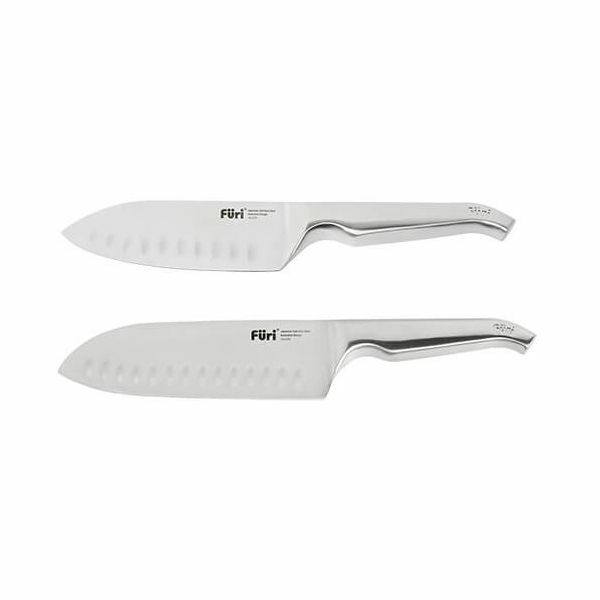 Santoku Knives are perfect for a variety of tasks including chopping, slicing and dicing. The scalloped indentations on the blades aid food release making slicing easier and faster. 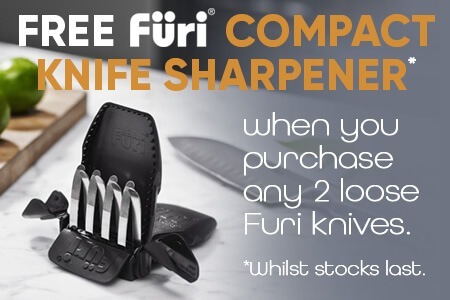 Furi knives are manufactured from Japanese high carbon stainless steel which is hard wearing and easy to sharpen. The seamless construction of each knife means there are no areas where food and dirt can get trapped, making them extremely hygienic. 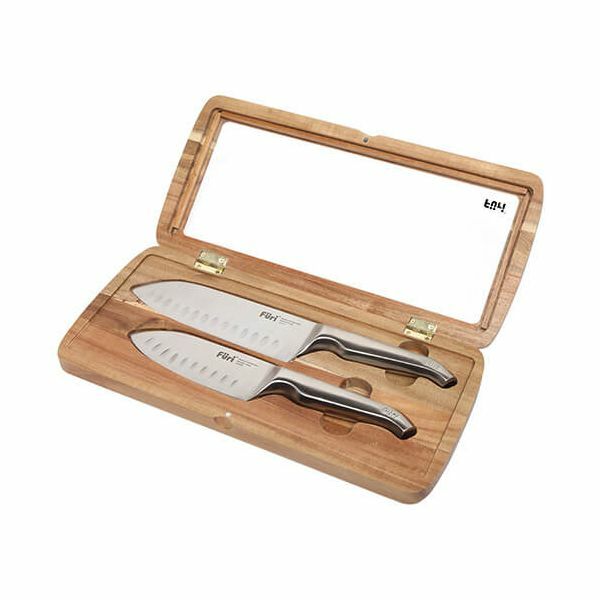 Their innovative patented handles feature a wedge-shaped design which locks comfortably on to the hand, reducing fatigue and slipping towards the blade. A tapered bolser has been engineered for comfort and safety and allows the blade to be sharpened right to the heel of the blade. Hand wash knives and dry thoroughly after use.